Nanak Flights offers cheap flights to Kelowna from Toronto, Montreal, Ottawa, Vancouver, Calgary, Edmonton, Halifax, Winnipeg, Victoria and other Canadian cities. Air Canada and Westjet operates domestic flights to and from Kelowna. Air Canada, Lufthansa, British Airways, Delta, KLM, Air France, Cathay Pacific operates International flights from Kelowna. Few Airlines uses Air Canada and Westjet as connecting airlines to Vancouver and Calgary hubs for International flights from Kelowna. Did you know? Most of the world's waterslides come from Kelowna. If sports is your fancy, the city has a stadium and an arena. Arts are definitely fashionable in this city, as theaters and galleries take over the landscape. Being a lake city, boating is also quite popular so try renting a nice bonat and exploring the fantastic marinas in the area. There are also well over a hundred winderies within a 90 mile drive of the area. Legend has it that a lake monster called Ogopogo lives in the lake beside Kelowna. While nobody can prove its existence, be prepared to watch for the monster on your journey. Kelowna is a popular place to film horror and thriller pictures as well, perhaps because of its mid-size nature. The first step towards enjoying the popular vacation spots of Kelowna (YLW) is to book your flights to Kelowna with Nanak Flights. We offer cheap flights from Kelowna to Calgary and other parts of Canada. This Okanagan lake city has a plenty of currency exchange services around. Unfortunately, none of them are within the airport. You will have to travel by the roads for at least 5 minutes. One such outlet is: Interior Savings Credit Union: This is located in 2071 Harvey Avenue at the Orchard Centre. With the best deals offered, you can get the best out of your currency exchange. Orchard Park - Well-organized shopping mall. Orchard Plaza Shopping Centre - Orchard Plaza is one of the best shopping malls in Kelowna. Towne Centre Mall - Wide selection of shopping experiences for everyone's taste. Latest Events in Kelowna (YLW), Canada - November 2015. Updated Monthly. 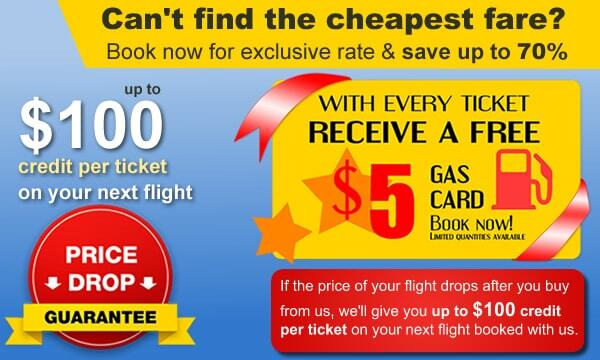 Nanak Flights can provide you with the cheapest fares on airline tickets to Kelowna and all destinations worldwide. You can also depend on us for cheap flights from Vancouver to Kelowna and other cities. Use our search engine to book online today and compare top airlines at the lowest prices from the comfort of your home or office. On top of offering savings to our customers, if the cost of your air tickets drops after you purchase your tickets from us, we'll give you a $100 credit to spend on the next flights you book with us. We work hard to find the cheapest tickets to Kelowna and all your destinations and we most certainly always end up finding great fares to Kelowna (YLW) for you. For the best deals, fill out our form for a free quotation by email and we will get back to you with unbeatable rates. We offer cheap flights from Kelowna to Vancouver and back. To book your flight ticket to Kelowna (YLW) right away, use our booking search to reserve your tickets online instantly. Our Secret to cheap tickets to Kelowna is connecting with multiple suppliers and multiple GDS (Global distribution systems Sabre, Amadeus) to shop the lowest fares and offer great savings to our consumers. Check out our youtube video for places to visit in Kelowna. Vancouver(YVR) to Kelowna(YLW) departing Feb 13, 2017, returning Feb 19, 2017. Toronto(YYZ) to Kelowna(YLW) departing Feb 13, 2017, returning Feb 19, 2017. Ottawa(YOW) to Kelowna(YLW) departing Feb 13, 2017, returning Feb 19, 2017. Montreal(YUL) to Kelowna(YLW) departing Feb 13, 2017, returning Feb 19, 2017. Halifax(YHZ) to Kelowna(YLW) departing Feb 13, 2017, returning Feb 19, 2017. Regina(YQR) to Kelowna(YLW) departing Feb 13, 2017, returning Feb 19, 2017. Fort Mcmurray(YMM) to Kelowna(YLW) departing Feb 13, 2017, returning Feb 19, 2017. Prince George(YXS) to Kelowna(YLW) departing Feb 13, 2017, returning Feb 19, 2017. Travel documentation requirements for travelling to Kelowna(YLW), Canada. For any information regarding Kelowna airport, Please visit the Kelowna airport web site. if you are planning to stay close to the Airport in Kelowna, following is the list of the best hotels close to the Kelowna Airport.